The fog-draped dawns give way to cool mornings and clear, sunny days. The chalky soil gently shifts and crunches underfoot. This cool-climate wine-growing region is where Joe Wagner farms. This land and these vines are in Joe’s blood. Born and raised in California’s wine country, he has devoted his life to the vineyard. 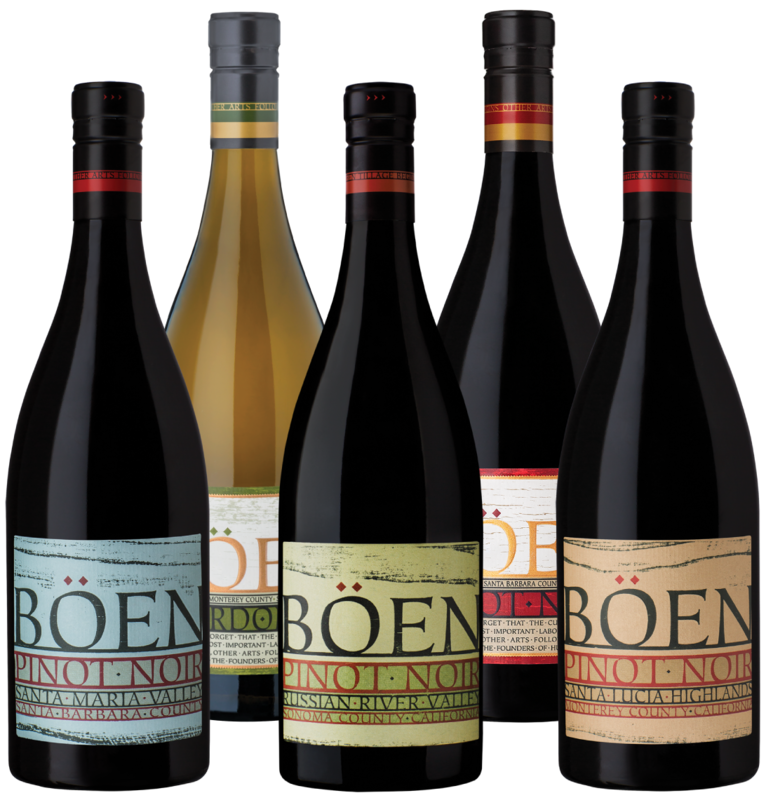 And BÖEN, with its ripe fruit flavors, bright acidity and hints of toasty oak, is the purest expression of his signature style. Böen is an exploration in Pinot Noir – highlighting the unique attributes of California’s most sought-after winegrowing regions. The first sip of this tri-appellation Pinot Noir envelopes the mouth with a velvety richness. Flavors of bright cherry, dried herbs and hints of vanilla, is supple and sumptuous, to the finish. Opulent flavors with a silky, alluring texture, flavors of apricot, lemon-cream tart and vanilla. This tri-appellation Chardonnay is elegant and lingerings on the palette. No stranger to the soil, Joe takes a decidedly hands-on approach to surveying his vineyards and cultivating his land. It is this intimacy with the earth and craft that create a distinctly personal and defining wine. BÖEN showcases the land and the art of winemaking. It is an earnest representation of cool coastal mornings and sunny California days.